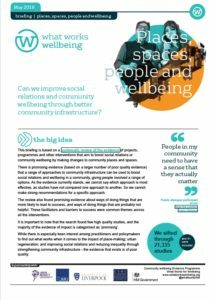 This week’s guest blog is co-authored by Amanda Hill-Dixon from The Young Foundation and David Luckin from Co-op on the development of the Co-op Community Wellbeing Index which aims to measure community wellbeing at a local level across the UK. In 2017 the Co-op, in partnership with The Young Foundation and Geolytix, set out to understand what ‘community wellbeing’ means to people across the UK. 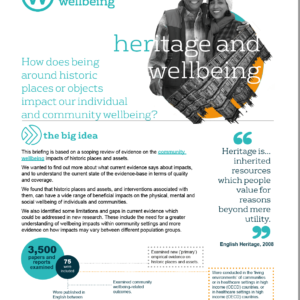 We did this to support the creation of an index of community wellbeing. 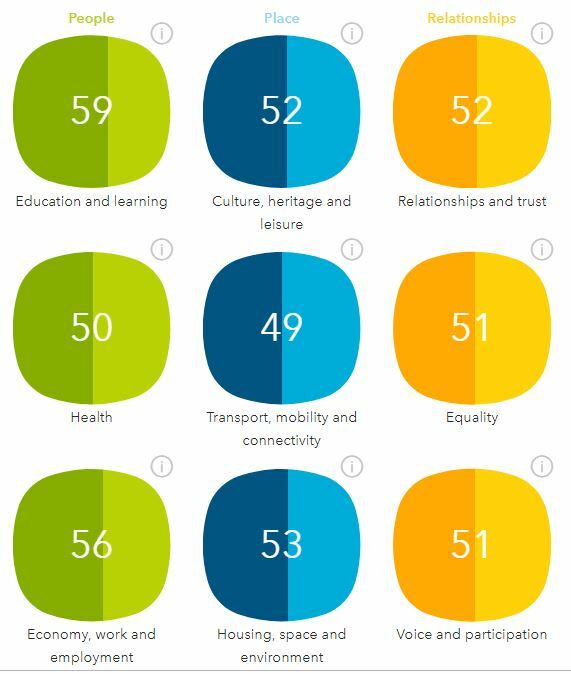 The Co-op Community Wellbeing Index is the first measure of community wellbeing at a local level across all four nations of the UK. 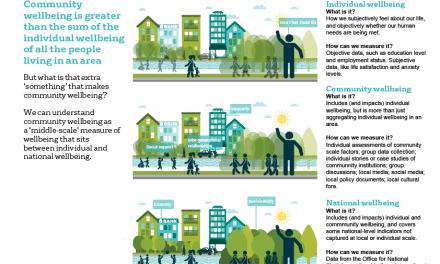 The Community Wellbeing Index is a resource for understanding what communities need and helping people get actively involved to make them stronger. We felt that it was important to find out directly from communities themselves what they feel helps them to live well. We wanted to get to the heart of what matters most in a local community – from strong relationships and active participation to good, local schools, affordable housing and public transport links. 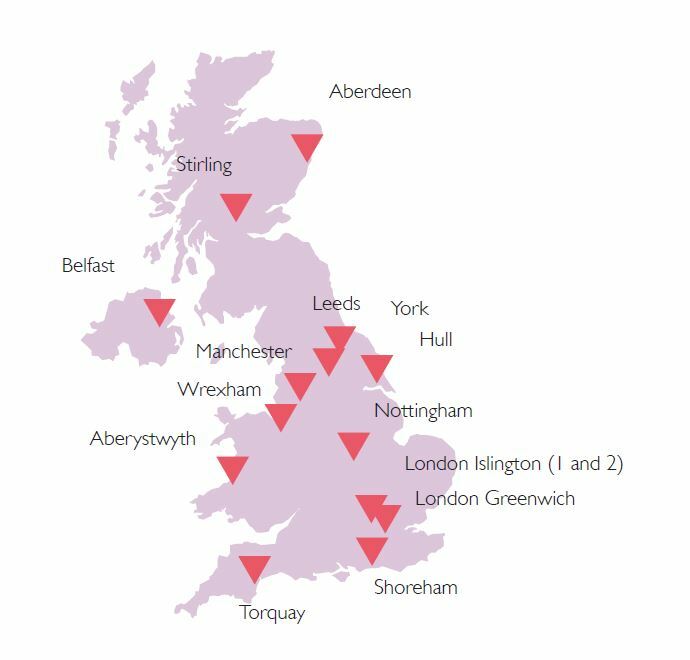 Through a series of 15 community co-production workshops, we worked with over 400 people from across the UK to explore their experiences and understanding of community wellbeing (see map). We also reviewed existing evidence, frameworks and measures relating to community wellbeing, and interviewed experts from across the UK. Within each domain, we identified the most appropriate measures to use and identified the best available data at local level for over 28,000 neighbourhoods from across the UK. A full list of the indicators and data sources used can be found here. 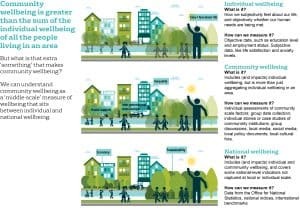 The Index allows users to compare the level of community wellbeing in each area with the national average, and neighbouring localities, and to reflect on the strengths and challenges of their community. Over 3,000 Co-op members have already tested the Index. The majority of members found the Index easy to understand, felt that it reflected their understanding of the needs of their communities and said that it was something they would share with others who might find it useful. The Co-op are already using the Index to inform the future focus for their Local Community Fund, and what issues their Member Pioneers prioritise. 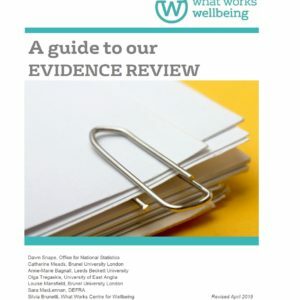 As well as being useful for Co-op members and communities more broadly, the Index can be used by local government, charities and community organisations to reflect on how their communities are doing and act as a spring-board for evidence-based action. Over the next year we are looking forward to sharing and testing the Index more broadly. If you have any questions about the Index, or if you have ideas for how to develop it further, please contact the Co-op at communitywellbeing@coop.co.uk. What works to increase social connection in the community? 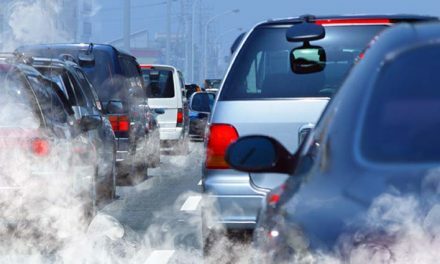 Does clean air make you happy?